We're excited to be working with 12inch LNDN on their upcoming summer roof top party! 12inch are known for their disco centric London parties, thrown in unique and interesting venues from boats to beer distilleries. 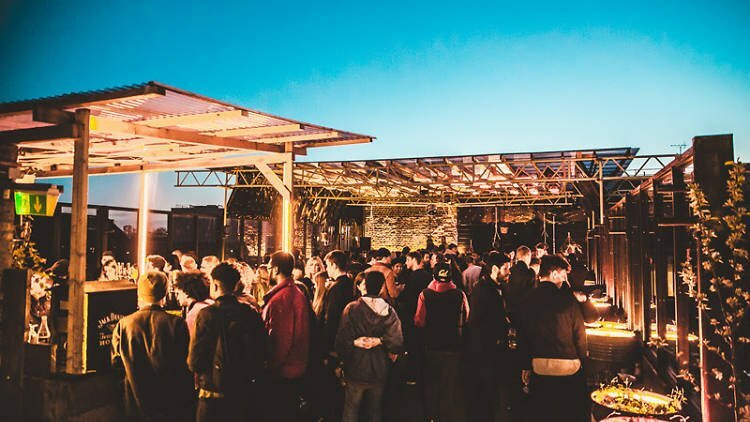 True to form 12inch are back this summer to kick things off on Dalston Roof Park, with disco legends Ray Mang & Pete Herbert. Ray Mang is a producer, remixer and DJ of the highest calibre, landing his first 12” Number One in ’96 on Noid Recordings. His sets have been setting fire to dance floors worldwide - with more recent ‘nu’ disco, cosmic, balearic and house influences. Pete Herbert returns to 12inch after his stellar set last December. Pete is the previous owner of the illustrious Atlas Records shop in Soho. When he is not in the studio or behind the wheels of steel, you can find him on his weekly radio show on Sonica FM Ibiza. Support is provided by local disco hero's Jive Talk and 12inch's Brockbank & Jordan. Expect left field balearic disco / house / italo / dub / funk / afro and summer vibes! Come bring in the summer with some serious roof top vibes.